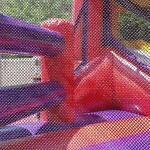 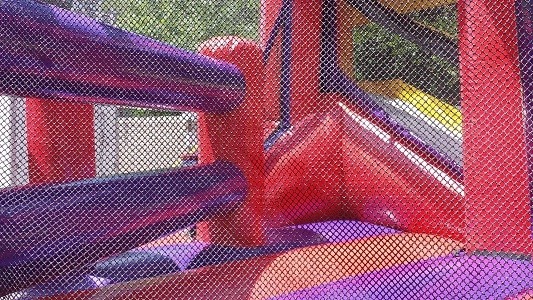 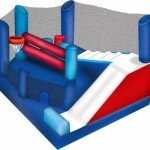 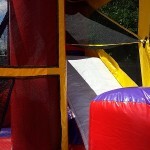 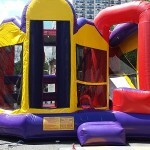 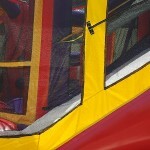 The Ninja 5-in-1 combo bouncy house draws passers-by to stop and romp in this five-activity combo. 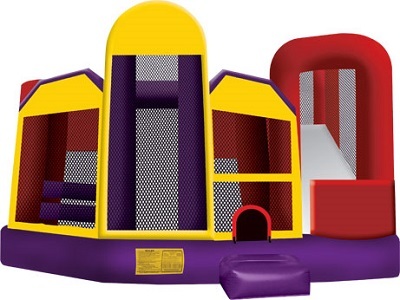 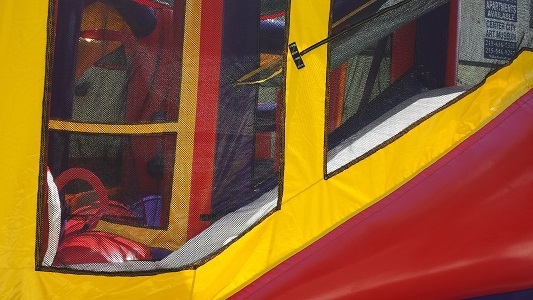 Designed to fit any theme or event, this bouncy house can entertain children of all ages and allow them hours of healthy activity. 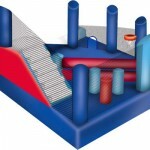 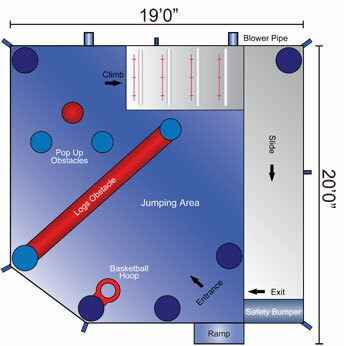 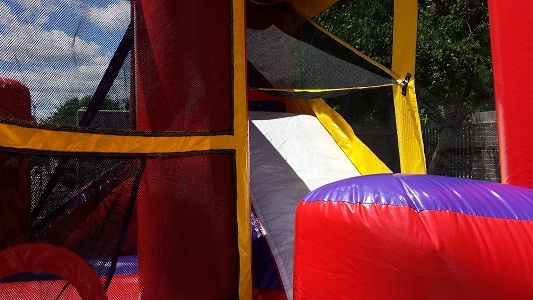 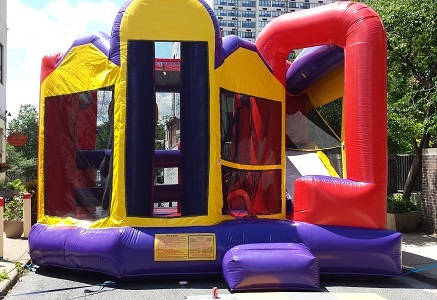 Part of a line of products from Ninja Jump, this bouncy castle can be customized with your logo or corporate colors, sure to advertise and draw in participants all day!